One of the biggest myths about quitting drinking alcohol is that you’re suddenly not going to have any fun… That’s it, all the fun is done and dusted! For the rest of your life, you are going to live in misery! You are of course a teetotaller now, which means boring, unloved, stale, tedious, uninteresting, dry, BLAH!!! As I said, this is a myth, and a scandalous one at that. 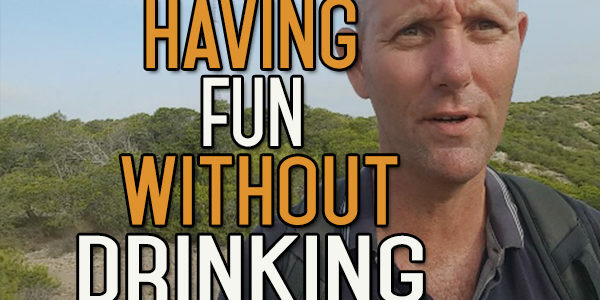 Most drinkers don’t know how to have fun without alcohol. That’s not because the alcohol brings lots of fun, it’s because the drinker is so used to using alcohol at any occasion. I used to drink at the drop of a hat, any excuse would do! Any time for celebration is a time for alcohol. Any time for relaxation is also a time for alcohol. Any time for partying is also a time for alcohol. The list goes on and on and on! Once you refuse to put another drop of alcohol into your system, you are forced to rethink “fun” and reinvent your life. Once you do this, you suddenly realise how much you have been missing all along. Ironically enough, it’s when you grow up and take responsibility for your actions that you truly take your mind back to the enchanting fun and delightful cheerfulness that we threw down the toilet as soon as we started taking this pointless poison! Start living your life by first booting this poison from your body. Why I Will Never Be Fully Alcohol Free - Nor Will You!